Boasting a fresh new look and dynamic perspective, the Caitlin range creates a contemporary aesthetic through well-considered design. Organic lines are at the heart of this crafted work: split panel tops with wavy edges in a refined aged oak finish that beautifully contrasts with the weathered oak detailing featured in the finely tapered legs. Options on the upholstered chairs in warm stone washed colours of smoke grey, slate blue and mulberry as well as a rich distressed brown leather marry beautifully with the aged and weathered oak colours. Caitlin offers a cutting edge look to transform any modern home. This range is available to order as Coffee Table, Coffee Table with Drawer, Console Table, Console Table with Drawer, Lamp Table, Lamp Table with Drawer, Open Display Unit, Entertainment Unit, Sideboard, Dining Table & Stunning Upholstered Chairs. Please note special orders can take up to 6 weeks -Terms & Conditions Apply. Boasting a fresh new look and dynamic perspective, the Caitlin range creates a contemporary aesthetic through well-considered design. Organic lines are at the heart of this crafted work: split panel tops with wavy edges in a refined aged oak finish that beautifully contrasts with the weathered oak detailing featured in the finely tapered legs. This table is 1.8m. Options on the upholstered chairs in warm stone washed colours of smoke grey, slate blue and mulberry as well as a rich distressed brown leather marry beautifully with the aged and weathered oak colours. Caitlin offers a cutting edge look to transform any modern home. This range is available to order as Coffee Table, Coffee Table with Drawer, Console Table, Console Table with Drawer, Lamp Table, Lamp Table with Drawer, Open Display Unit, Entertainment Unit, Sideboard, Dining Table & Stunning Upholstered Chairs. Please note special orders can take up to 6 weeks -Terms & Conditions Apply. Just adore the Calla collection, inspired by early 20th century industrial hardware and furniture with stunning sand cast turnbuckle components and exposed bolts. Get the gorgeous Ext Dining Table 1.9m-2.5m & 6 Slatted Chairs at a fantastic price. The collections antique/aged appearance is enhanced by the use of spit oak veneers combined with a hand glazed finish. This range is also available with Coffee Table, Dining Table & Dining Chairs, Display Cabinet, Gathering Table, Dining Stool, Media Unit & Sideboard. Please note special orders can take up to 18 weeks. Terms & Conditions Apply. The Campania is a beautiful marble range which will bring a touch of glamour to any home. 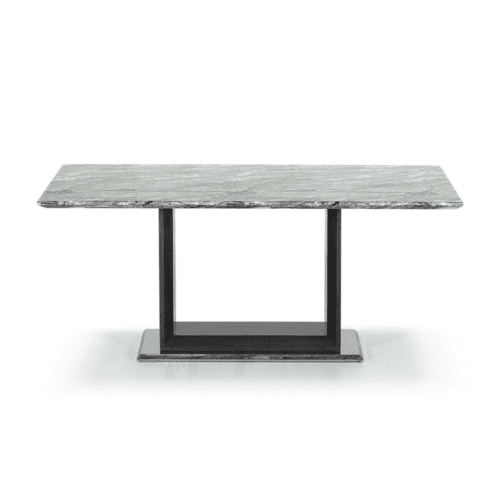 The pearl grey is unique with each table featuring different markings in the marble finish. 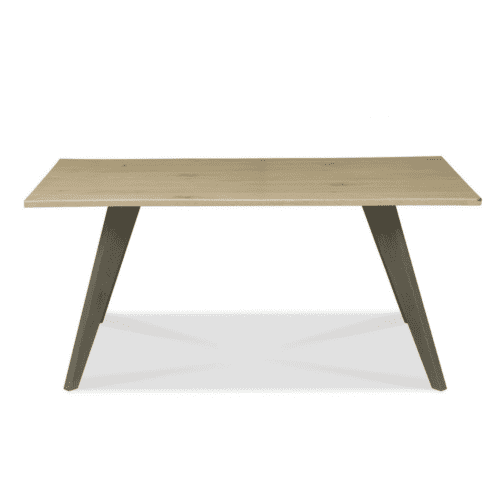 The Campania Table is available as a 1.6m Dining Table, 1.8m Dining Table and Round Dining Table. This range is also available with Dining Table - Rectanglar & Round, Toto Dining Chair, Coffee Table, End Table & Console Table. Please note special orders can take up to 4 weeks - Terms & Conditions Apply. The Ciara Extending Dining Table range is a strong, reliable collection designed for family living. Created using solid wood it is functional yet stylish and built to last the test of time. Matches perfectly with the Ciara Dining Table. Please note special orders can take up to 4 weeks - Terms & Conditions Apply. The Donna is a sleek and modern design, featuring monochromatic marble top and high gloss engineered wood base. 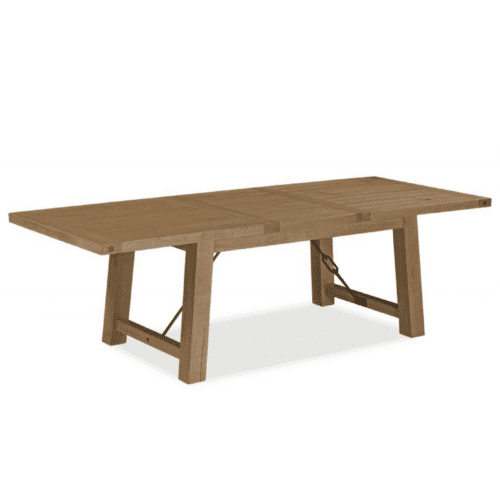 The Donna Table comes in various sizes - 1.2m, 1.6m, 1.8m and 2.2m and matches perfectly with the Donna Dining Chair. This range is also available with Dining Table, Dining Chair, Coffee Table, End Table, Console Table & Sideboard. Please note special orders can take up to 4 weeks - Terms & Conditions Apply. The Eddy Knockerback Dining Chair is simply stunning with its crushed velvet button back featuring knockerback, arms and stud detailing with walnut legs. Available in Mink, Black & Silver. Please note special orders can take up to 4 weeks - Terms & Conditions Apply. 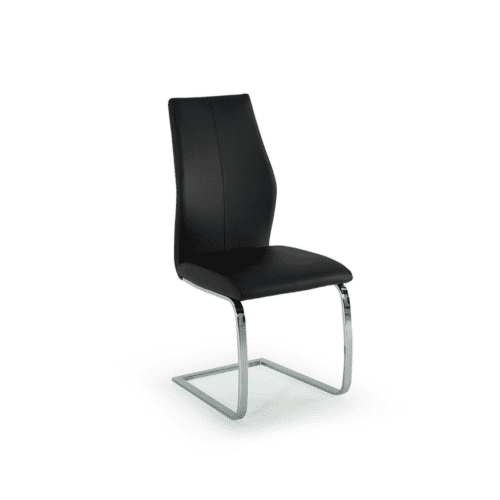 The Elodie Dining Chair is super chic with faux leather back and seat with chrome legs. Available to order in White, Black, Grey, Taupe, Pumpkin & Olive. Please note special orders can take up to 4 weeks - Terms & Conditions Apply. The Ethan Barstool with PU cover and chrome legs is a really gorgeous look. Available to order in Black, Grey, Buff & Taupe. Please note special orders can take up to 4 weeks - Terms & Conditions Apply. The Gortmore is a collection featuring walnut veneer with a sand plastered live edge and metallic effect panels on legs. Accompanied by luxurious brown fabric dining chairs & bench. This range is also available with Dining Table, Dining Chair, Bench, Coffee Table, End Table, Console Table, TV Unit & Sideboard. Please note special orders can take up to 4 weeks - Terms & Conditions Apply. A stunning collection, successfully combining traditional styling with a contemporary feel. Crafted in warm, natural American oak veneer tops and solid frames with complementary soft-grey painted carcasses, the Hanoi range is guaranteed to make a beautiful addition to any home. Distinctive detailing is showcased through the beautifully refined tapered legs, classic corniced tops and bracket feet, tongue and groove effect back panels and stylish satin chrome finished cup handles. Many practical features are also offered through Blum soft-closing drawers, adjustable shelves and a wine-rack with a pull-out drink preparation shelf. The Hanoi Barstool is available to order in an elegant, fully upholstered and buttoned roll-back chair and a stylish cross-back chair with either Bonded Olive Grey Leather or Pebble Grey Fabric seat. This range is available to order as a Coffee Table, Lamp Table, Console Table, Nest, Sideboard, Dresser, Dining Table & Chairs, Bar Table & Bar stools. Also available as Bedroom Range. Please note special orders can take up to 6 weeks -Terms & Conditions Apply. A stunning collection, successfully combining traditional styling with a contemporary feel. Crafted in warm, natural American oak veneer tops and solid frames with complementary soft-grey painted carcasses, the Hanoi range is guaranteed to make a beautiful addition to any home. Distinctive detailing is showcased through the beautifully refined tapered legs, classic corniced tops and bracket feet, tongue and groove effect back panels and stylish satin chrome finished cup handles. Many practical features are also offered through Blum soft-closing drawers, adjustable shelves and a wine-rack with a pull-out drink preparation shelf. 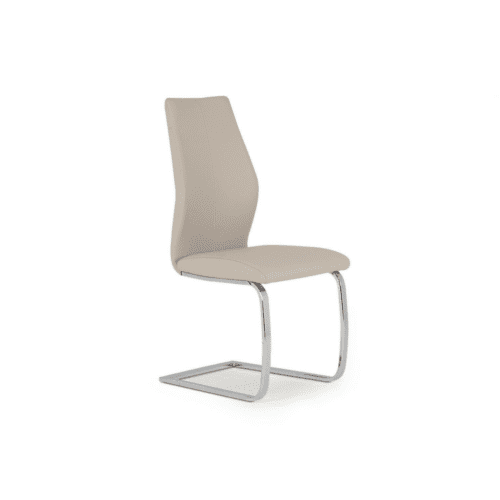 The Hanoi Dining Chair is available to order in an elegant, fully upholstered and buttoned roll-back chair and a stylish cross-back chairwith either Bonded Olive Grey Leather or Pebble Grey Fabric seat. This range is available to order as a Coffee Table, Lamp Table, Console Table, Nest, Sideboard, Dresser, Dining Table & Chairs, Bar Table & Bar stools. Also available as Bedroom Range. Please note special orders can take up to 6 weeks -Terms & Conditions Apply. Get the Hanoi 6-8 Oval Ext Dining Table & 6 X Back Hanoi Olive Upholstered Chairs for only €1599! A stunning collection, successfully combining traditional styling with a contemporary feel. Crafted in warm, natural American oak veneer tops and solid frames with complementary soft-grey painted carcasses, the Hanoi range is guaranteed to make a beautiful addition to any home. Distinctive detailing is showcased through the beautifully refined tapered legs, classic corniced tops and bracket feet, tongue and groove effect back panels and stylish satin chrome finished cup handles. Many practical features are also offered through Blum soft-closing drawers, adjustable shelves and a wine-rack with a pull-out drink preparation shelf. 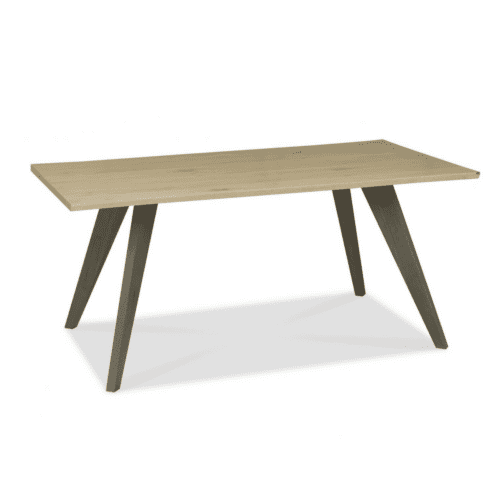 The Hanoi Dining Table is available to order as a Oval Extending Table or Rectangular Extending Table in Soft Grey & Pale Oak, Soft Grey & Walnut or Two Tone. This range is available to order as a Coffee Table, Lamp Table, Console Table, Nest, Sideboard, Dresser, Dining Table & Chairs, Bar Table & Bar stools. Also available as Bedroom Range. Please note special orders can take up to 6 weeks -Terms & Conditions Apply.